Jingle bells, Jingle bells, Jingle all the way to our Expatwoman's Annual Festive Fair this year! You've guessed it...Dubai's favourite family Christmas event is BACK and it's joyful and more jolly than ever before. The Festive Family Fair will be starting its Christmas spirit in Dubai on the 17th November! And what better way than to grab your whole family and bring them along to this fun-filled event catered for the entire family - with lots of activities, giveaways, entertainment and LOTS of Christmas spirit. Your little ones will absolutely love our annual favourites - Santa's Grotto, Kids' Fun Zone, the Crafters' Market and a whole lot of festive acts that will enchant your kids beyond belief. 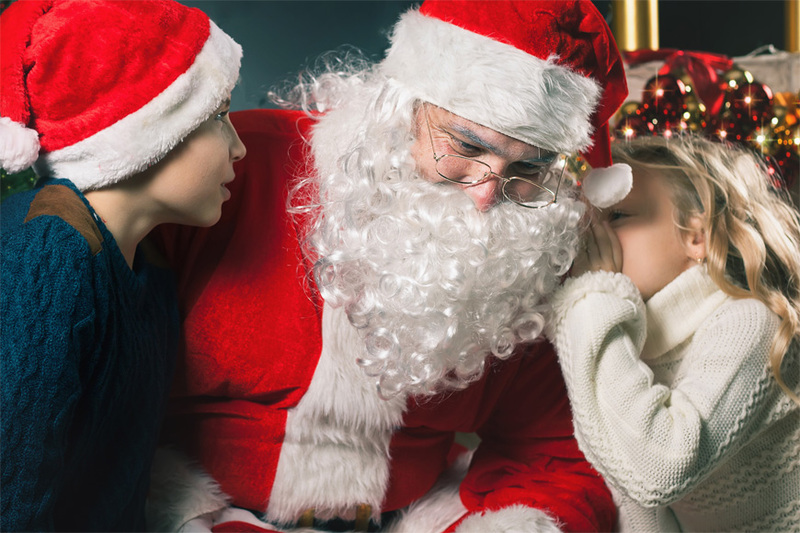 We haven't mentioned the man of the hour until now, but you and your kids will get the chance to meet a REAL life Santa Claus at our festive event and watch your kids' faces light up with amazement at the sight of the jolly ol' man! And if that doesn't tickle your fancy, here's what else you'll get to indulge in at the Festive Family Fair this year. We've heard your bellies rumbling and we've got the perfect solution to keep the hunger away - a wider selection of food and beverages have been introduced in our Food Truck & Picnic Zone. So grab all your favourite festive meals, snacks and drinks and have a Christmas-themed picnic while overlooking Dubai's fabulous views. Not to mention, parents and kids will have the opportunity to watch the final match of the inaugural ExpatWoman Polo Challenge Cup Tournament! The icing on top of this exciting news? This event is absolutely FREE ENTRY for the entire family. Want to be apart of the Christmas spirit at the Festive Family Fair? So many activities for your children! Your little ones will get the chance to meet and greet the man of Christmas this year at the Festive Family Fair and walk away with a present! While you and your partner explore all else instore at the Christmas fair, your kids will get to run around and play in a zone dedicated to the children festive fun! If your little one missed the chance to meet Santa Claus, then you can avoid a sad tantrum by watching him parade around with the help of his elves and Christmas mascots towards the end of our event! From 10am to 3pm, your kids will get to watch on-stage performances that are filled with the jolliest of Christmas spirit - local carolers, festive acts and more right on the main stage! Do your kids love a little DIY crafts? We've partnered up with talented artisans to bring you a whole different shopping experience - so you'll get to grab fabulous hand-crafted kids for your loved ones this Christmas. This couldn't have come at a better time!